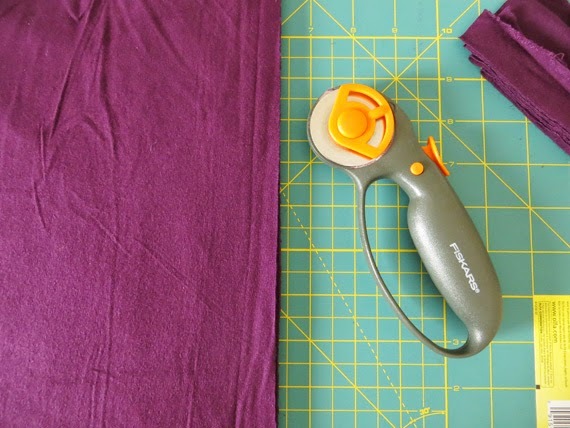 First, you'll want to cut your fabric. Mine was from the remnant bin at JoAnn, so one of the ends was pretty scraggly. I used my rotary cutter to trim that off and make a piece that was 27" x 60". 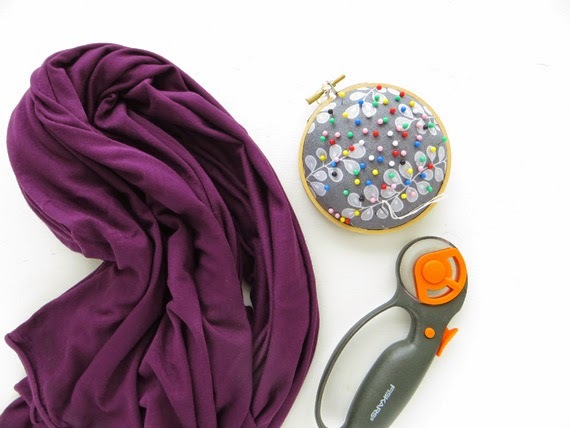 Once the fabric is the size you want (the wider you go, the more voluminous the scarf), fold it in half lengthwise and pin the 27" ends together. This is where your seam will go. When I said this was an easy project, I wasn't kidding. 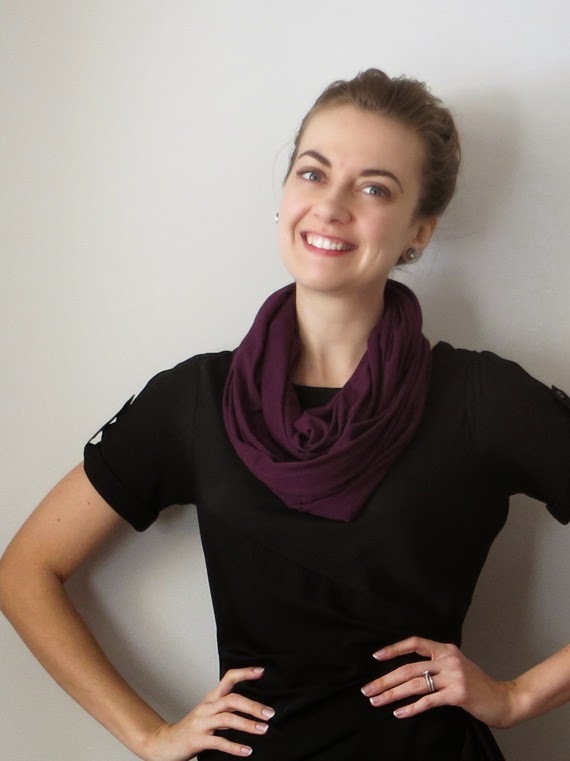 If you can sew a straight line, you can make a scarf. 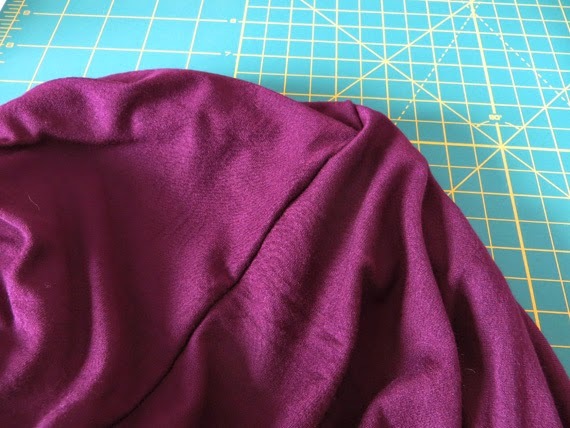 Just line up your fabric with the edge of the foot and lay down a regular ol' stitch. If you're nervous and/or haven't worked with jersey before, try it on a piece of scrap fabric first. It does stretch a bit, but it's still easy to work with. Admire that pretty seam you just made. 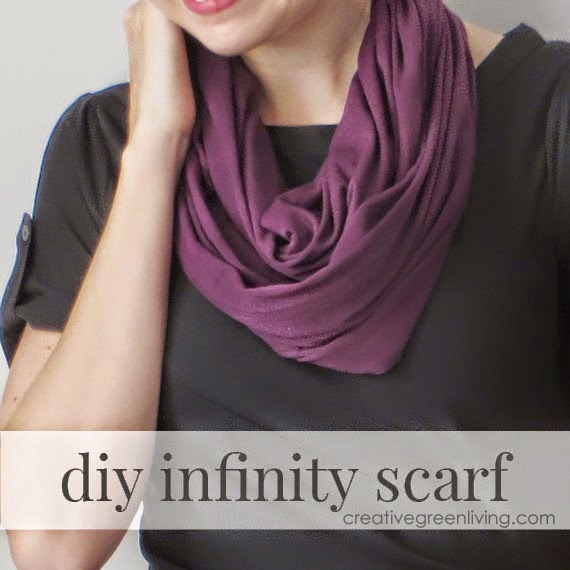 If you want to add a zig-zag stitch around the outside edges of the scarf, now's the time to do so. I didn't, because I have other scarves with unfinished edges and they don't bother me, but some folks like them. 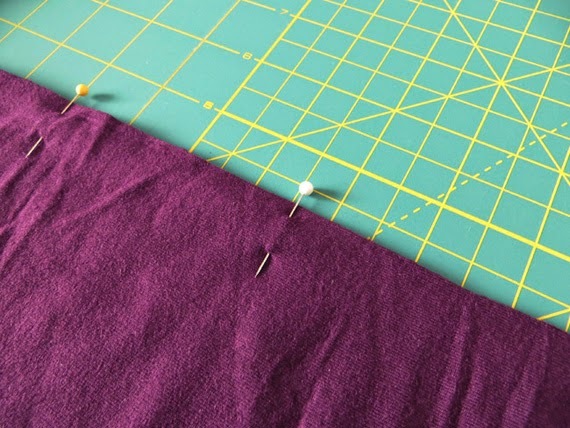 Once you've added the (totally optional) zig-zag stitch, you're done! Whee! Since my fabric was a remnant it was automatically 50% off the regular price, which means I only paid about $4.85 for my brand new, very cozy scarf. 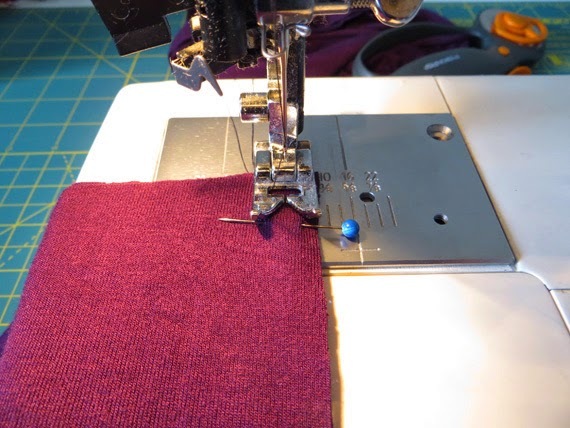 If you need to get some coordinating thread or a new blade for your rotary cutter, you'll be looking at a little more, but it's still a wallet-friendly project. Clearly, I'm keeping this baby for myself, but an infinity scarf would also be a great gift. Have you ever made one of these? Or found a beautiful piece of jersey in the remnant bin that you couldn't just LEAVE there? What's your favorite accessory? 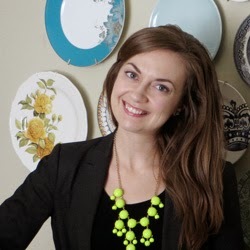 Paige Ronchetti is an interior decorator and blogger who writes about DIY projects, decor inspiration, and personal style at Little Nostalgia. 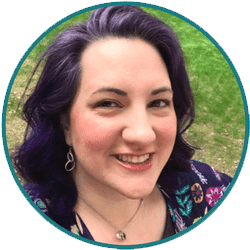 When she's not blogging, she's working with local clients through The Room Kit, her budget-friendly interior design business. Her favorite books are Harry Potter. 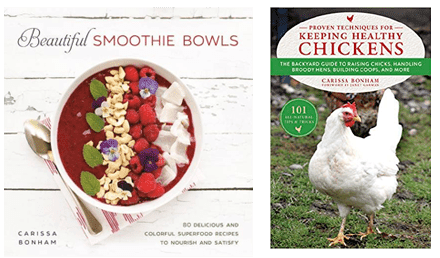 Follow along on Twitter, Instagram, and Pinterest.